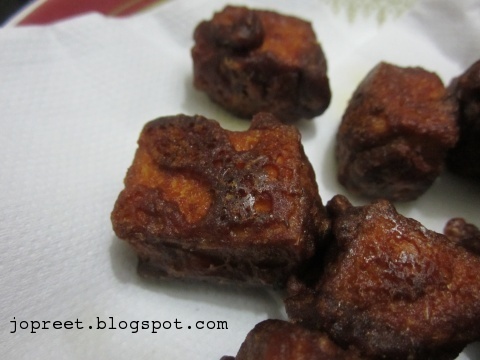 Crispy from outside and soft inside. 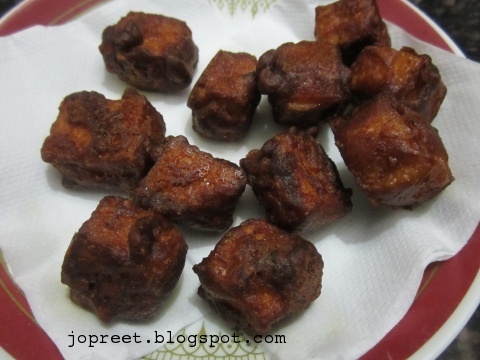 Marinate paneer cubes with all the above said ingredients and keep it refrigerated for 1-2 hrs for better results. 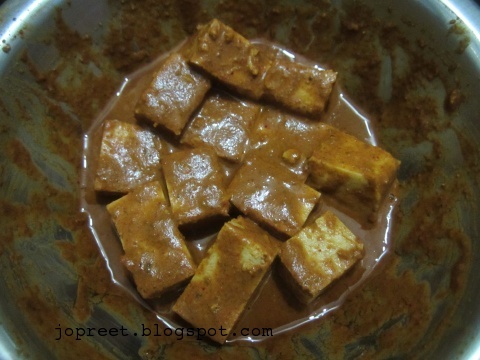 If it is marinated for long time then the masala will be well coated with the paneer cubes. 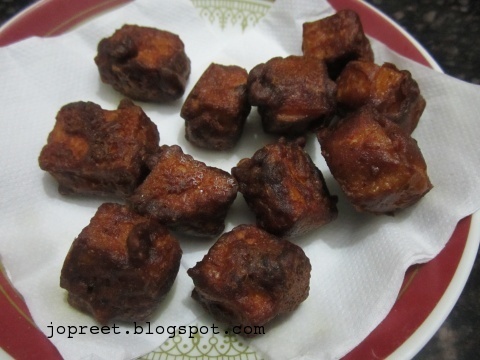 Heat oil in a kadhai and fry the pieces till it turns golden brown. 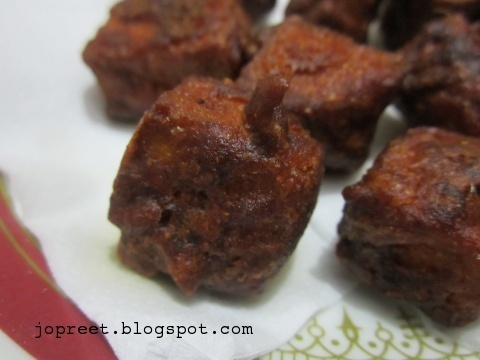 Serve hot with any sauce or mint chutney.